Professional Photographer of the Year 2012. Highly Commended, Wedding Photographer of the Year – National Finals, 2015 & 2016 (The Wedding Industry Awards). Hi, I’m Mia! The first thing you’ll probably notice about me when talking about wedding photography is how muchI love my job. I actually just really love weddings – if I wasn’t a photographer I’m sure I’d be a florist or a cake lady instead. I love colour and hazy sunlight, so my photos are often dreamy and warm. I think I’m probably a little bit obsessed with lens flare. If I had to categorise my style of photography I’d probably have to say contemporary with a touch of romantic and a big dollop of fun. I havebeen doing this job for 11 wonderful years. It’s given me anincredible amountof experience so I really have tackled just about every tricky lighting or weather condition you can imagine… so pouring rain or brutal sun, I know how to deal with whatever the day throws at me! 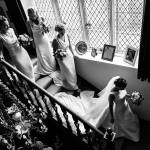 Helen loves to capture weddings and portraits. Besides this she is busy taking photographs at parties, events and award ceremonies. Her mobile studio, which has featured on ‘Living TV’ provides fantastic entertainment for such functions and may be set up at any location. If required, photographs can be digitally re-touched to a magazine standard and printed instantly. I just love being a Photographer.. its not just a job its a way of life. I have worked in the industry for over 22 years and still love every minute. 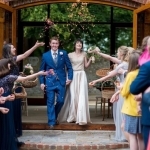 I have a Ba hons degree which really enlightened me on the academic side, and have been published in Pro Photo, Hello, Hitched Weddings and Sussex Life. In 2014 I was awarded by the Royal Photographic Society the title of Associateship member , which I was completely thrilled and honored to receive. 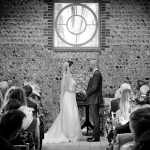 Based in Strawberry Hill, west London, I am an experienced photographer who specialises in weddings, portraits and commercial photography. I work mainly in London and the South East. My company Earlybird Photography has been going for over 10 years now and during that time I have photographed many wonderful weddings, lots of gorgeous family portraits, and a number of business commissions. I am committed to delivering the highest of standards for all my photography, from the content of the images to the clarity and resolution of the data thus creating fabulous results. I believe that a friendly efficient service is of paramount importance and I like to work closely with my clients to ensure a great outcome! I'm George. 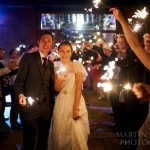 I am a Brighton based wedding photographer. My aim is to capture your day without you really knowing I'm there. That way you and your guests can relax which allows me to catch the most joyous and human of moments, and the beginning of your new chapter can be relived in a totally new perspective. I don't see your wedding as a set of timetabled events; but as a coming together of friends, family and of course yourselves. I try and blend into crowd as a guest, rather than stand out as a photographer, by creating a rapport with yourself and your guests.